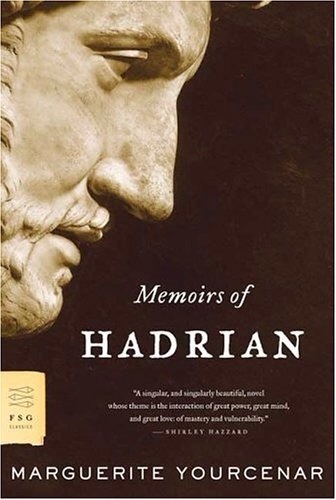 I’m reading Marguerite Yourcenar’s 1951 novel, Memoirs of Hadrian, about the Roman emperor and written as though it was his own journal as he is facing the end of his life. It’s addressed to the future emperor, Marcus Aurelius. I could only find a paperback copy but was eager to have it. A book like this dealing with Roman history and Stoicism and Marcus Aurelius is right in my wheelhouse. I, Claudius remains the most delightful novel I’ve read and helped spark my fascination with ancient Rome. Memoirs of Hadrian is no I, Claudius, though. It’s not the exhilarating, page-turning romp through Roman scandal and political intrigue. Yourcenar’s book is a quiet, reflective review of a notable life as our protagonist is facing his final days. This is life-changing insight explained with profound clarity. “Whatever I had I chose to have…” Consider some unpleasant circumstance or event, from something as trivial as having to wash dishes to something as potentially catastrophic as facing a tragic loss. If you welcomed this thing you have no control over and accepted it fully, embracing, even, something that seems unembraceable, imagine the transformation in your psychology. Accept what is and use it to learn and grow and find unforeseen opportunities. Fling yourself fully into even the worst circumstances that befall you. Don’t resist. Welcome whatever comes your way and grow your character and peace of mind in the process.